It has been called the world’s most challenging freshwater race; however, the Bell’s Beer Bayview Mackinac Race is making it easy for competitors to try something new at the event’s 93rd edition scheduled for July 22, 2017. Teams sailing the Shore Course of 204 nm will no longer sail under the PHRF rule, as in the past, but instead will sail under the new ORR-EZ rule, the "little brother" of ORR used on the race’s longer Cove Island Course of 259 nm. "ORR-EZ is, in effect, a kinder, gentler ORR rating, and we believe that it’s the proper rating system for our smaller boats that sail the Shore course," - said Bell’s Beer Bayview Mackinac Race Chair Tricia Smotherman, who also is a member of the Mackinac Race Authority, charged with not only running the race but also protecting its viability for the future. She explained that the Offshore Racing Association (ORA) – which manages both the ORR and ORR-EZ rules – does not have to measure every boat for the EZ like it does with ORR. Instead, it uses standardized hull data from measured boats it keeps in its database. It finds a boat of the same design and makes changes based on sail inventory, sail size and how much crew a boat will carry. If it’s a one-off boat, ORA creates a model of it with the help of the boat’s designer. "ORR-EZ is not an observed performance rule like PHRF, where the age of your sails, or the condition of your boat’s bottom, or the capability of your crew is figured in to your rating," - said Smotherman. "It’s the next step up, but it’s not a full-blown measurement rule either - it’s a true hybrid." ORR-EZ is also easy on the budget. 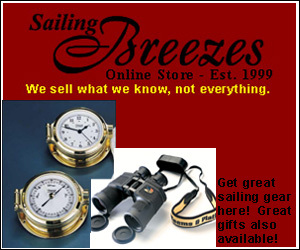 It costs only $100 per ORR-EZ Application ($75 for renewal), and Smotherman and ORA have collaborated to offer discounts on ORR-EZ certificates for a certain number of early registrants who are signing up for both Shore Course racing at Bell’s Beer Bayview Mackinac Race and Chicago Yacht Club’s Race to Mackinac, which precedes the Bayview Mackinac Race by one week (July 16) and utilizes ORR. For answering any questions sailors might have about the rule, the Mackinac Race Authority’s ORR-EZ Committe has arranged a seminar on March 2 at Bayview Yacht Club. Presenters will be Jim Teeters and Bjorn Johnson of the ORA. 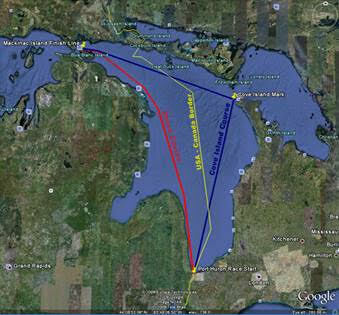 "The Bell’s Beer Bayview Mackinac Race is on the cutting edge, providing a leadership role in the U.S. for measurement rules," - said Teeters, who advised the Mackinac Race Authority during its transition to full use of the ORR rule last year on the race’s Cove Island Course. “There are some other groups who are using ORR-EZ but none as big as or in the public eye as much as the Bell’s Beer Bayview Mackinac Race." Teeters says the rule, which was unveiled on the West Coast in March of 2016, is gaining traction, with over 100 certificates expected to be issued for the Bell’s Beer Bayview Mackinac Race. "Another 100 or so have been issued on the Chesapeake, West Coast and in Florida, and we’ve beta-tested it in other parts of the country where sailors are getting excited about it," - added Johnson. "California Offshore Race Week will again use ORR-EZ, and we’ve talked to five clubs on the Great Lakes. The rule was just certified as one of the official handicap systems to be used by Lake Michigan Sail Racing Federation." As of mid-February, 90 boats had signed up for the Bell’s Beer Bayview Mackinac Race, which alternates its schedule with Chicago Mackinac Race each year as to which comes first. "In the years like this when we are second in the lineup, we typically show a larger number of entrants," - said Smotherman, noting that 219 teams sailed last year. "With the variety of boats hitting the starting line each year, the Mackinac Race Authority continually strives to keep the race competitive, fair and fun for our participants. By adopting the ORR-EZ on the Shore Course, we are addressing issues brought to us by our participants to address the historical shortcomings of the PHRF rating system." 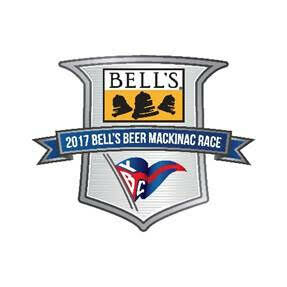 The Bell’s Beer Bayview Mackinac Race starts Saturday, July 22, from Port Huron, Michigan and finishes at Mackinac Island. Trophies for the 2017 Bell’s Beer Bayview Mackinac Race include the J.L. Hudson Trophy for the boat with the best corrected time in Division I and the Canadian Club Classic Trophy for the boat with the best corrected time in Division II. Special competitions include the Corinthian Challenge (for all-Corinthian teams) and the Pro-Team Sports Challenge (held in conjunction with community partner Set Sail for Autism and the Detroit Sports Broadcasters Association) as well as the North Sails Yacht Club Challenge. 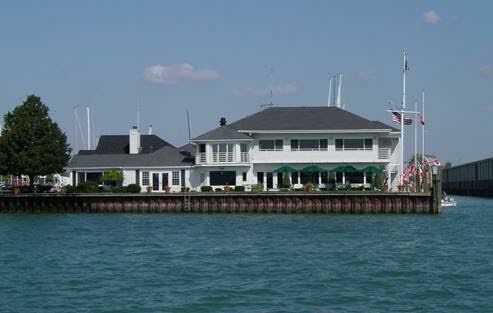 Bayview Yacht Club, founded in 1915, is widely regarded as the premier sailing club in Michigan and the Midwest. Located on the Detroit River near the mouth of Lake St. Clair, it has been hosting the Bayview Mackinac Race since 1925 and has more than 1,000 members. For more information: www.byc.com. Link to Video: St. Martin, Caribbean dolphins playing with big Catamaran Sailing near Saba, Dutch Antilles.